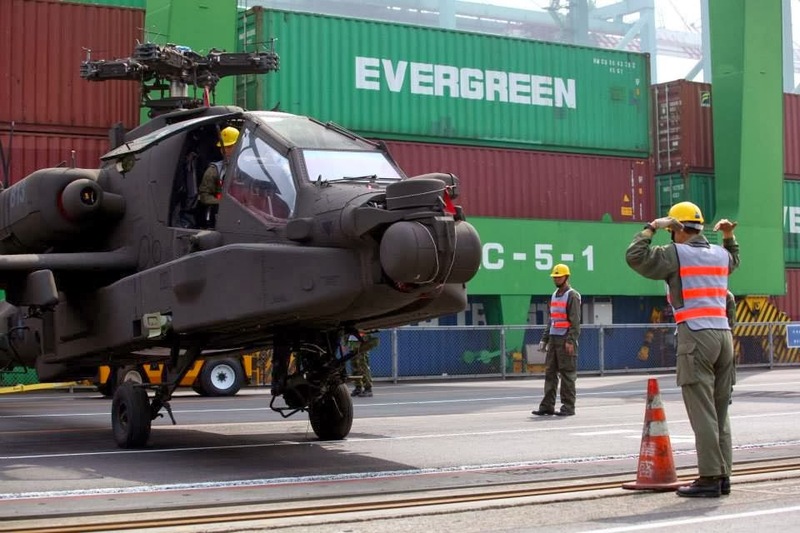 A shipment of six AH-64E Apache attack helicopters from the United States will arrive in Taiwan in mid-March and be flown directly to an airbase in southern Taiwan, a military source said on Monday. The source said the six helicopters are scheduled to arrive at the Port of Kaohsiung on March 17. Because they have passed tests in the United States, they will not be affected by a recent transmission problem and can proceed directly to the Tainan airbase after routine checks. The helicopters will be permanently stationed in northern Taiwan in the future, the official said. 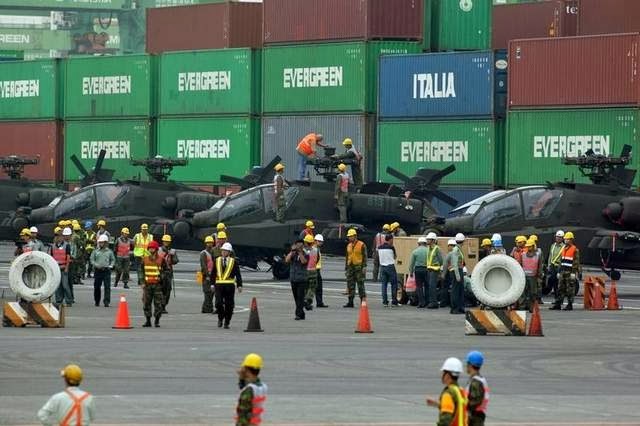 The shipment is one of five batches of six helicopters being delivered to Taiwan as part of a 30-helicopter order from the US that is costing Taiwan more than US$2 billion. The process has not been without snags. Taiwan was notified by the United States in mid-December of a main transmission failure on an Apache AH-64E in service in the US, forcing Taiwan to ground the first six Apache choppers it had received in November. It also did not fly the next six Apaches that arrived in January, instead using ground transport to get them to the airbase. Taiwan's military has since replaced the main transmission boxes of all 12 aircraft as a precaution. An Army official said the 12 helicopters will resume flights and normal training after safety verifications. The final two batches of six choppers each will be delivered to Taiwan with the new transmission boxes and are expected to arrive in May and July. There had been concerns that the transmission problems might push back the final three deliveries, but that has not been the case. The model E is the latest in the Apache attack helicopter series. The US and Taiwan are the only two countries that use the latest Apache helicopter model so far.